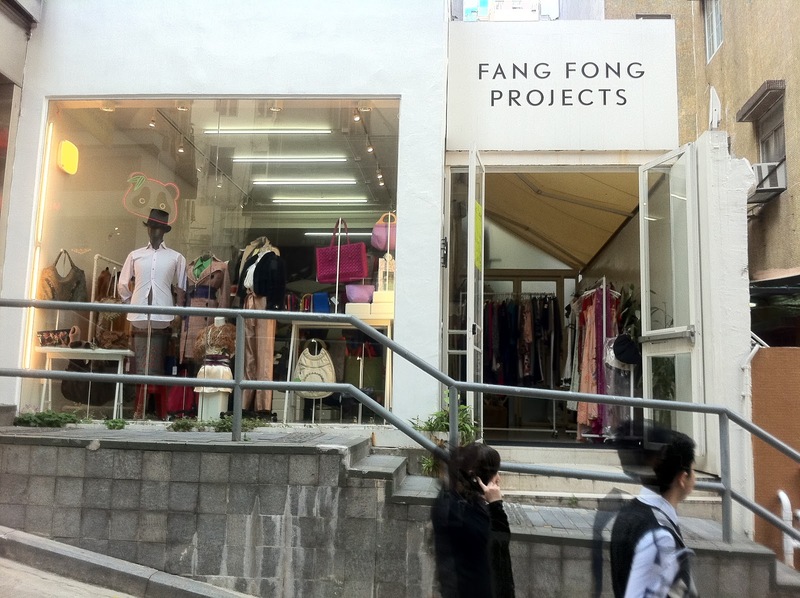 Fang Fong Projects is a cute, airy boutique that is situated in the heart of SoHo. The shop showcases designer and owner Wu Laifan’s own collection of designs as well as brands that are not available in Hong Kong. Laifan launched her label in 2006 and her designs are extremely unique. She matches traditional Asian fabrics with modern silhouettes. I particularly love her evening gowns – the very first piece of garment I bought from them was actually an evening gown. Laifan also offers private consultation to help you create the one and only piece of garment that suit to your very own favorite style. Each custom design will usually take around 10 days. I was lucky enough to have bumped into Laifan when I went to pick up my evening gown.